Oral surgery is a branch of dentistry that is concerned with all the surgical and adjunctive treatment of abnormalities, injuries or diseases of the mouth, whether they are of dental origin or not. More specifically, oral surgery includes a range of all the surgical procedures that are conducted on the teeth and their roots, the jawbones, the gums, the oral mucosa (mucous membrane of the mouth), the salivary glands or on the sinuses. Most of the time, local anaesthesia is sufficient for this type of operation. 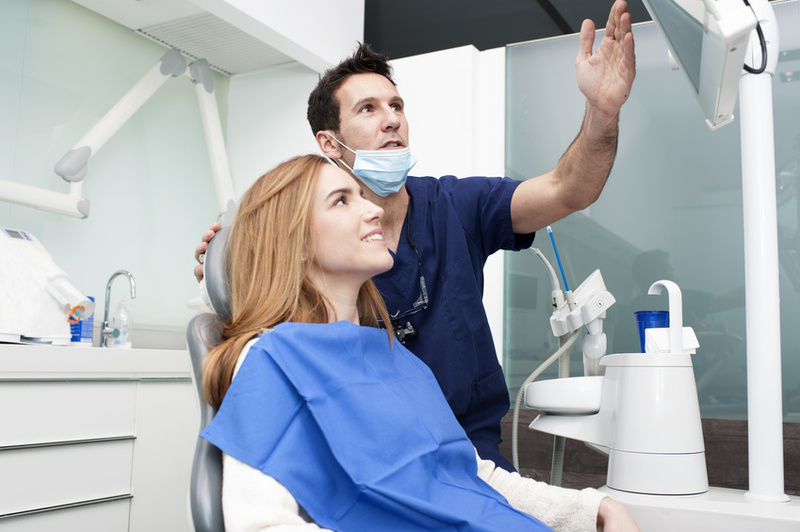 In each of our Adent clinics, you will always find a dentist who specializes in oral surgery. Adent dental clinics ensure optimal results with Straumann products that guarantee quality and precision. A dental implant is an artificial root – sort of titanium, zirconia or polymer screw – inserted into the jawbone to replace an absent tooth. The implant serves as a holder for fixing various elements: a dental crown, a bridge or a removable prosthesis (partial or complete). It can also stabilize and significantly improve the comfort of life of complete prosthetic wearers. In fact, dental implant offers an optimal hold for a lower dental prosthesis and eliminates the palate-plaque for the upper dental prosthesis. The same implant can also change its function during in its lifetime: initially, it can serve as a holder for a crown, then it can become, after performing a simple oral surgery, the attachment of a mobile dental prosthesis thereafter. How is dental implant placed? The placement of a dental implant requires oral surgery. Most of the time, it is a short and simple surgical procedure, which consists of some sort of reverse extraction. Basically it means that the dental implant is surgically positioned into the jawbone beneath the gum line which then allows your dentist to mount replacement teeth or a bridge into that area. Except in exceptional cases, your dentist can perform the procedure under local anaesthesia, directly in his dental clinic. Who is the implant intended for? 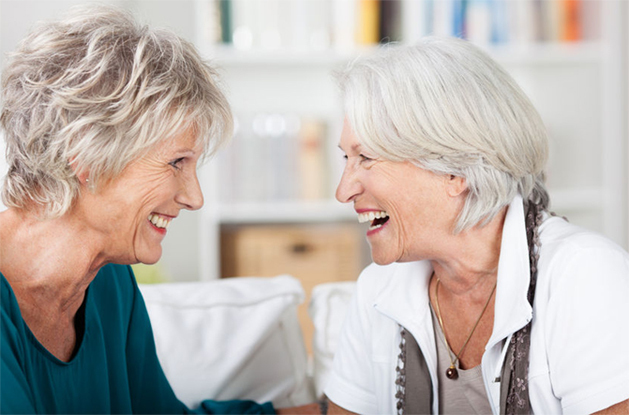 Dental implant is intended for anyone with one or more missing teeth. Good general and oral health is also needed as prerequisite for this type of oral surgery. Dental implant placement is contraindicated in the presence of untreated infections such as periodontitis (receding gums). The total duration of the treatment depends on many factors. The following information is for illustrative purposes only. In practice, healing and implant placement takes between 3 and 6 months. When the healing of the implants is complete, the manufacture of the crown or prostheses can be initiated . How much does placement of a dental implant cost? This depends on the number of implants required and the treatments to be performed prior to implant oral surgery. It is essential that the dentist conducts a preliminary oral examination to evaluate the care needed and provide you with a detailed quote. Aside from severe gingivitis and periodontitis, gums are rarely mentioned. They can, however, diminish and leave the roots of exposed teeth with a risk of dental cavity and hypersensitivity. In this case, oral surgery may be necessary. In order to treat this kind of symptoms, dental surgeons perform a gum graft. Indeed, the gingival graft restores the thickness and height of the weakened gum, which stops its recession. 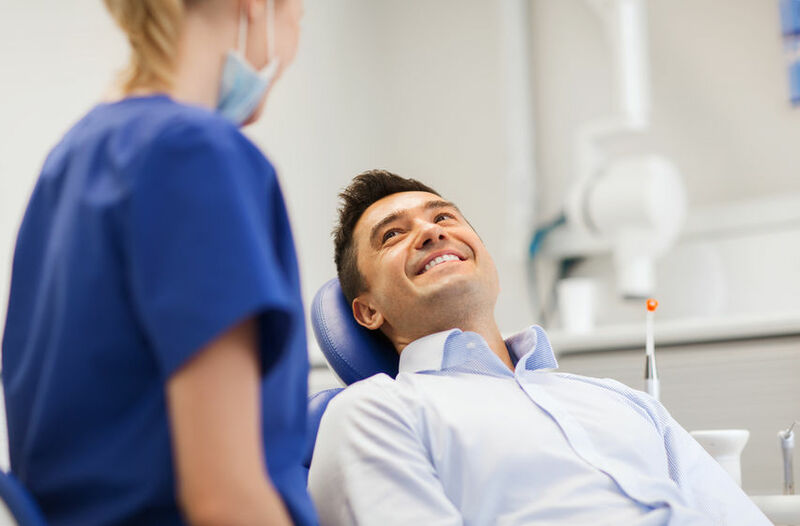 On the same note, restorative, preventive and plastic, oral gum surgery strengthens the supportive tissues in order to protect the teeth and often restores a nice smile. Who is meant to undergo a gum graft? Gum graft is for anyone who suffers from a large loosening of gums on one or more teeth. It also applies to people who care about the aesthetics of their smile, desiring to have a harmonious smile following a wide gum recession. This oral surgery may be prescribed for aesthetic or preventive purposes. Gum surgery involves taking a piece of gum or palate, the “graft”, for covering the root of the bare tooth due to gum recession. This surgical procedure is performed under local anaesthesia. It is a commonly practiced procedure. The maxillary sinuses are located under the eyes, on each side of the nasal wings. They are small air-filled holes found in the bones of the face. They perform various different functions such as absorption of shocks to the head in case of blows, reducing the weight of the cranium or increasing the resonance of the voice. They are part of the respiratory system. Who is meant to undergo a traditional sinus surgery? The roots of the pre-molars or molars are sometimes partly contained in the sinuses. If these teeth are lost or extracted, they must be replaced. Sometimes there is a thin wall of bone separating the mouth from the sinuses. However, one of the conditions required to replace the missing tooth with an implant is sufficient bone thickness so as to ensure the stability of the implant. If the sinus wall is very thin, it becomes impossible to place the implant in good conditions. Oral surgery can solve this problem through a small procedure done under local anaesthesia, directly to the dental surgery. The sinus graft is performed by the dentist during oral surgery. There are two possible approaches for this surgical intervention: the crestal approach which involves pushing Schneider’s membrane upwards at the time of implant placement. And the lateral approach which consists of a small opening of the sinus wall from the side. During this oral surgery, the dentist adds bone under the membrane lining the sinus. The implant can be placed at the same time as the sinus lift or later depending on the original bone height. The advantage of this oral surgery of the sinus is the possibility patients benefiting from implant placement. On the contrary, the wearing of a removable prosthesis or a bridge would then be indicated. Dental cyst is an excrescence in the form of a small ball that will be positioned at the end of the root of the tooth. It corresponds to a chronic and latent infection of the tooth and is generally of modest size. It often does not cause pain or nor exhibit external signs. Majority of dental cysts are benign and are very easily treated through oral surgery. What is the upstream process of this oral surgery? Presence of cyst can only be detected by an X-ray. Oral surgery offers two methods of treating cysts. The most reliable way to prevent recurrence is tooth extraction and removal of the cyst. Root treatment is also a way to treat the dental cyst. An antibiotic treatment is sometimes prescribed to the downstream patient of the oral surgery. It is important to remember, however, that the best treatment for your oral health is dental prevention. We recommend an annual dental check by your dentist and a regular dental descaling by your dental hygienist in addition to daily hygiene care. Dentists specializing in oral surgery are present in each clinic. You thus benefit from a wide area of expertise. The proposed offer within each dental clinic promotes collaboration and synergy between the specialists and general dentists. The wisdom teeth are located at the very back of the mouth, behind the molars. They are usually 4 in number (2 at the top, 2 at the bottom). In some cases, only 1, 2 or 3 teeth may appear. Some people do not have wisdom teeth at all. Wisdom teeth generally erupt when you are between 16 and 24 years of age. When properly aligned, they can be useful for chewing. However, they sometimes remain semi-impacted or impacted under the gum and can become quite troublesome. In many cases, oral surgery for extraction of the wisdom teeth is recommended. The extraction of wisdom teeth is the most common oral surgery. This procedure is performed in most cases under local anaesthesia, directly in the dental surgery by a stomatologistment au cabinet dentaire par un stomatologue.